Regardless of who you voted for, this election should have made one thing clear: it is extremely important to voice your opinion. Whats important to you? Taxes, the environment, health care? Who do you think is going to make the best decisions about those policies? Voting is not about popularity, but about selecting a representative to lead our community in the right direction. Your vote lets the world know where you stand on the issues. But there are additional options. Yes, voting is extremely powerful and important, but it is not the only way to make your voice heard. Local politicianssuch as city council members, state senators, and congresspersonsthey all read the newspapers that serve their districts in order to keep a finger on the pulse of the communities they represent. 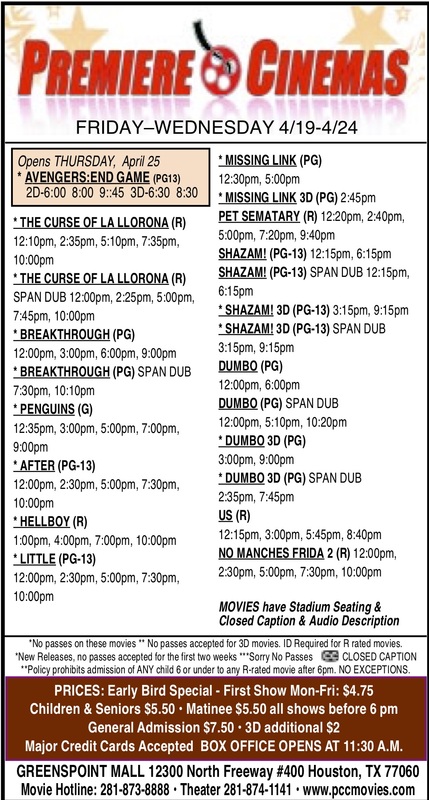 They are reading the same news stories as you, the same cartoons, the same movie reviews. These very words! How do I know? Because I have had the honor of meeting many of them through my dads work with this newspaper. So if you want to let your local representatives know what you thinkabout a new tax increase, or a potential improvement for the school district, or potholes in the roadswrite a letter to the editor. Your words could be published here for everyone to read and consider. Who knows, you might spur new legislation! At the very least, you will probably find people who agree with you and want to band together for a change. Your reasoning could help educate someone about the issue, or convince someone on the fence. You might find yourself engaging in friendly debate the next time youre in line at the grocery store. Maybe its just because Im a chatterbox, as my dad affectionately nicknamed me at age three, but I know I am always looking for more ways to make my voice heard. I was proud to cast my first vote four years ago, and whether or not elections go my way, I will always participate in the democratic system. But I have come to recognize that I can make a greater impact on a smaller scale. We all can. So think about what matters to you today, and tell someone. Your best friend, your teacher, your coworkers, your cat. Write down your reasons, write down what someone on the opposite side might say, and then figure out how you would reply. Sleep on it. And if you still think it sounds pretty good in the morning, send it our way. We look forward to hearing more of your voices in the future. The recent Fall Festival at Aldine Sheriffs Storefront included a display of equipment and services from the Emergency Services District #1, which serves a large area of Northeast Houston and the Aldine/Airline/Greenspoint areas. This covers an area of about 78 square miles and almost 400,000 people. 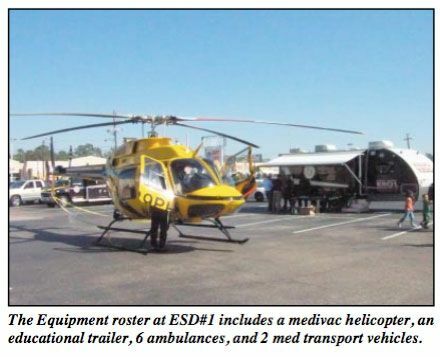 The display included a yellow medical evacuation helicopter, and several of their new ambulance and transport vehicles. The helicopter proved to be a popular exhibit with families that attended the Festival. ESD#1 also handed out CPR kits and First Aid kits, as well as answering questions about their services. ESD#1 started in 1991, through a majority vote of property owners in the service district. A 3 cent per $100 tax is levied on property to pay for this vital service. The service has six ambulances, which are located throughout the district to provide quick response time. These are at Airline Drive, Fallbrook Drive, where the helicopter also is stationed, Aldine VFD on E. Richey Road, headquarters at Isom Road, and two locations on Aldine Bender Road. The service answers about 3000 calls per month, including 30 helicopter calls monthly. An interesting aspect of the service, is that the helicopter is not an on call service, as with most ESD agencies. The plane is actually leased to ESD#1, and housed at one of their stations, on Fallbrook Drive. In addition to emergency calls, ESD#1 is concentrating on non-emergency transport calls to other medical facilities, which will increase their income. At present, their budget is about $5.3 million, of which only $1.6 comes from the property assessment. Insurance payments, private billing, and transfer income make up the difference. Citizens are invited to ride along as part of an outreach program that the ESD operates. Contact the main office, or visit their web site at www.hcesd1.org to make arrangements. Their headquarters office is at 1620 Isom Road, off Aldine-Westfield near the Keith-Wiess Park entrance. Their non-emergency number is 281-449-3131. Parents of Freddie Cicherski, Jr., who was hit and killed on April 8, 2007 at 9:10 pm as he walked westbound at the 9300 block of E. Mt. 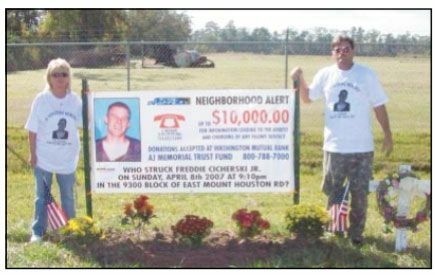 Houston Road, have erected a sign near the spot of the accident, posting notice of a $10,000 reward and asking for witnesses to come forward to Crime Stoppers with information. Freddie was struck by at least two vehicles, one described as a dark-colored pick-up truck, possibly a Ford 150. Terri and Freddie Sr. feel that the hit and run may have been intentional, and think that because of heavy traffic along the highway, there must have been witnesses who saw what actually happened. Crime Stoppers rewards are anonymous, according to the organizations Ray Wathen. Call 712-222-TIPS if you have any information. Northeast Harris County residents will see changes in their county government, with Democrats taking over nearly every seat formerly held by Republicans. Ed Emmett, is one of the few exceptions as he beat David Mincberg 53%-46% to win the county judges seat. Republican Pat Lykos is the first woman to serve as District Attorney. With less than 5,000 votes difference she defeated C.O. Bradford, a Democrat. Mike Stafford lost the county attorney race to Democrat Vince Ryan. Democrat Adrian Garcia unseated Sheriff Tommy Thomas, while Precinct 3 Constable Ken Jones held off a challenge from Republican Tony Lewis. In the race for Harris County Tax Assessor/ Collector Paul Bettancourt beat Democrat Diane Trautman. State Senator Mario Gallegos Jr. had a 70% landslide victory over Gilbert Pena. Democratic state representative incumbent Senfronia Thompson easily beat GOPs Michael Bunch. Nationally, voters decided to make a change at the highest level, selecting Barack Obama as the next president. He scored 333 electoral votes to Republican nominees John McCain and Sarah Palins 155 votes. In other national races, Senator John Cornyn defeated Democrat Rick Noriega. Congressman Gene Green will get two more years in Washington after beating Republican Eric Story and Libertarian Joel Grace. Sheila Jackson Lee had no trouble winning reelection to her congressional post. Texas Secretary of State Hope Andrade estimated that 68% of registered voters cast ballots, either during early voting or on Election Day. This is the second highest percentage in Texas history, with the highest coming at 73% in 2004. HOUSTON  Shelia Redmon-Jones, communications director for the Greater Greenspoint District, has been selected as a Federation of Houston Professional Women (FHPW) 2008 Woman of Excellence. Redmon-Jones, along with 34 other recipients, was honored at the organizations annual black-tie gala that celebrates the accomplishments of Houston women who use their power and influence to make a difference. Redmon-Jones is a 1991 graduate of M.B. Smiley High School and received a B.A. in journalism from The University of Houston. 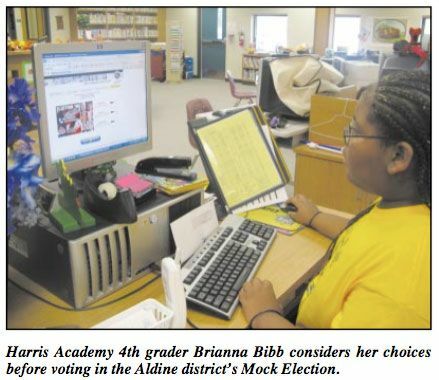 She has been with the Greater Greenspoint District for eight years. As someone who benefited greatly from the involvement of others, I give my time to causes that focus on personal growth and expand the network and opportunities for those involved, says Redmon-Jones. Redmon-Jones is an executive officer and co-chair of the Spring ISD Career & Technical Education (CTE) Advisory Board, a member of the Leadership North Houston Alumni Board and serves as the publicity chair for ABWA Greenspoint Chapter. MacArthur Generals were unable to finish their season with a win, and dropped to 0-8 for the year with a 34-14 loss to their traditional rival Aldine last Friday night at Thorne. Aldine Mustangs led through the whole game, with notable performances from Jordan Moore, passing 9 of 11 for 102 yards, and Dontae Williams rushing for 13 carries for 118 yards and 2 TDs. Aldines Wesley Vincent carried 10 times for 102 yards, and MacArthurs Roger Nunnery had 157 yards and 1 TD. The highlight play of the game was a blocked MacArthur field goal in the first quarter, which Aldines Markeith Whitefield ran back 72 yards for a score.